Out Of Tucson Carnage, A Family Emerges Unbroken — And 'Grown Up' Five years ago Friday, a gunman opened fire in a parking lot in Tucson, Ariz., killing six and wounding others — including Mary Reed, who had been protecting her daughter. This is their story. 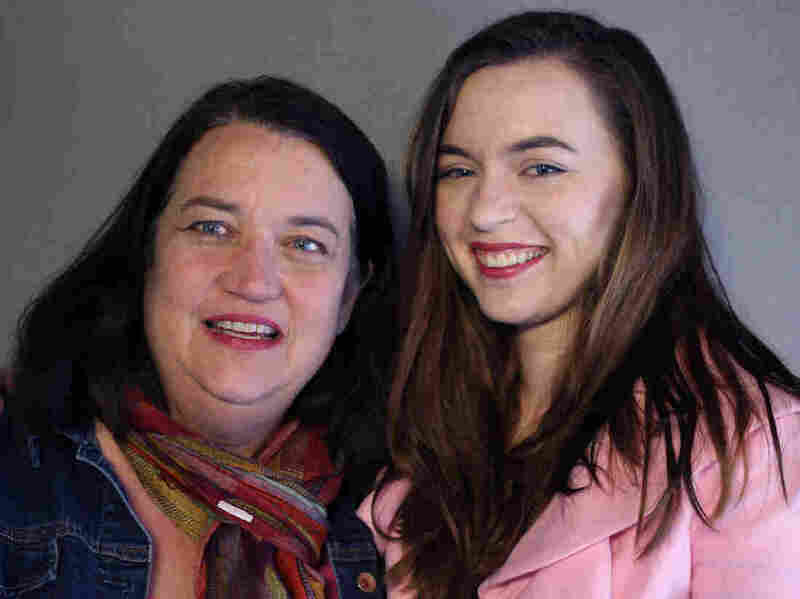 Mary Reed, with her daughter, Emma McMahon, on a recent visit with StoryCorps. At around 10 in the morning, five years ago, Emma McMahon pulled up in the parking lot of a Safeway grocery store in Tucson, Ariz. The high schooler was there with her mother, Mary Reed, excited to attend an event held by then-U.S. Rep. Gabrielle Giffords. 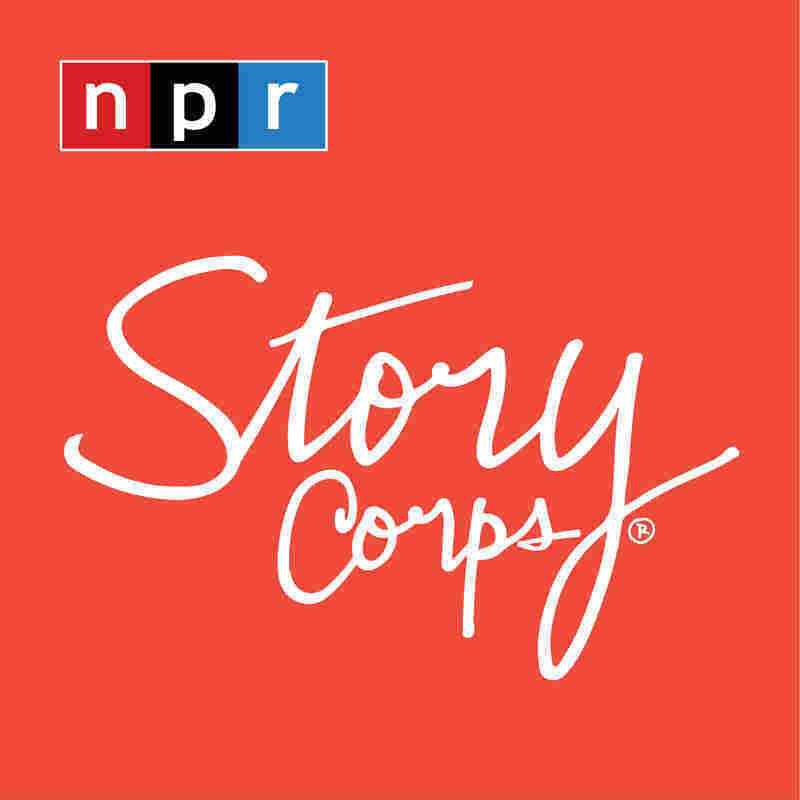 There was a line, probably 15 people ahead of them, but luckily, McMahon already had some work to keep her busy — a clipboard stacked with college applications, Reed recalls on a recent visit with StoryCorps. "And then I heard popping noises," McMahon says, "and I realized there was a shooter going down the line shooting people in the head." That day, shooter Jared Loughner killed six people and wounded 13 others — including Giffords — at the meet and greet. Among those killed were a U.S. District Court judge and the 9-year-old daughter of the county sheriff. Reed and McMahon ducked as the shooter drew close. "I tasted gunpowder, and I covered you by slamming you against the wall," Reed says. "He tried to shoot your head through me." Instead, the shooter hit her in the left arm. "I just turned around and I thought, 'Little man, you better be looking me in the eye if you're going to shoot me again,' " she says. "And what was astonishing is that he had no facial expression. It was like he was asleep. He had nothing." Then, Reed says, Loughner lowered the gun, hitting her in the back with his next shot. She heard Loughner's magazine hit the ground, and while he was reloading, she says, a man — 74-year-old Bill Badger — rushed past her and tackled Loughner. Others from the group soon leapt on Loughner, holding him down. "At that time, I was fully in shock, and I hadn't fully comprehended what had happened — I didn't understand that so many people had been shot," McMahon says. She remembers seeing blood, lots of it, and seeing others bring out rags from a butcher's shop nearby to stanch the bleeding. The people around her feared her mother would be paralyzed. Ultimately, Reed would walk again, but even today she still has a bullet lodged near her spine — one of three gunshot wounds she suffered that day. 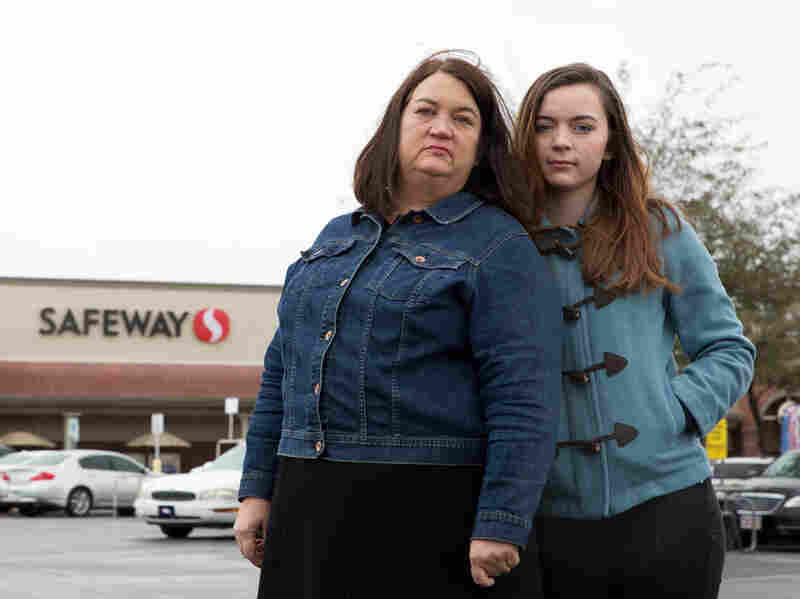 Mary Reed and her daughter, Emma McMahon, at the Safeway where Mary was shot along with 18 others on Jan. 8, 2011. McMahon, for her part, says people didn't speak much to her about the shooting afterward. She felt as if she was treated differently by people after she survived — "like a glass doll," as her mother puts it. "People were acting like they couldn't joke with me, they couldn't say anything, like I was so breakable," McMahon says. "But I felt like that was the time that I was the strongest was right after the shooting. I was organizing who was gonna bring us dinner on what day. And I was figuring out what to do with all the journalists standing outside of our house, badgering us." Far from becoming more fragile, McMahon says, she changed in an entirely different way. "I think that was the first time that I felt like a grownup." She graduates from college this May. She and her mother still shop at the same Safeway.